I woke up at 3:15 a.m., got geared up and cycled to my friend`s house where we were getting a lift from. 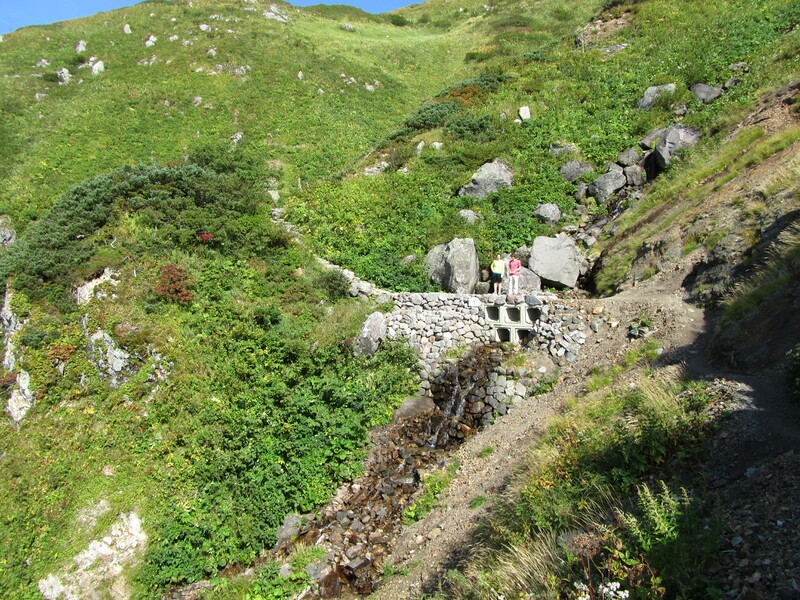 There is limited public transport to get to the beginning of the trail, so this climb was coordinated by the JET Association who organised carpools. It was strange to drive through Kanazawa at 4:30 a.m. when the streets were full of revelers leaving bars, clubs and karaoke parlours in search of food. 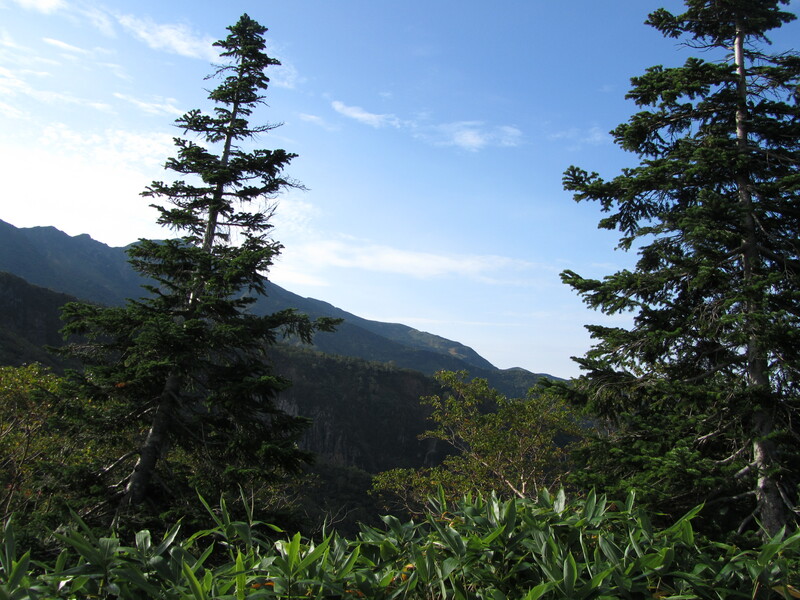 It took about an hour and a half to get to Hakusan, and the terrain gradually turned more mountainous and was lit up by the dawn. We arrived at the parking grounds at about half six to meet with everyone else in our group and from there we took a short bus ride up to the start of the trail. There were lots of other groups of well-prepared-looking Japanese climbers stretching around the starting station, so we decided to just have a quick group photo and then get going so that we could get ahead of the other groups. 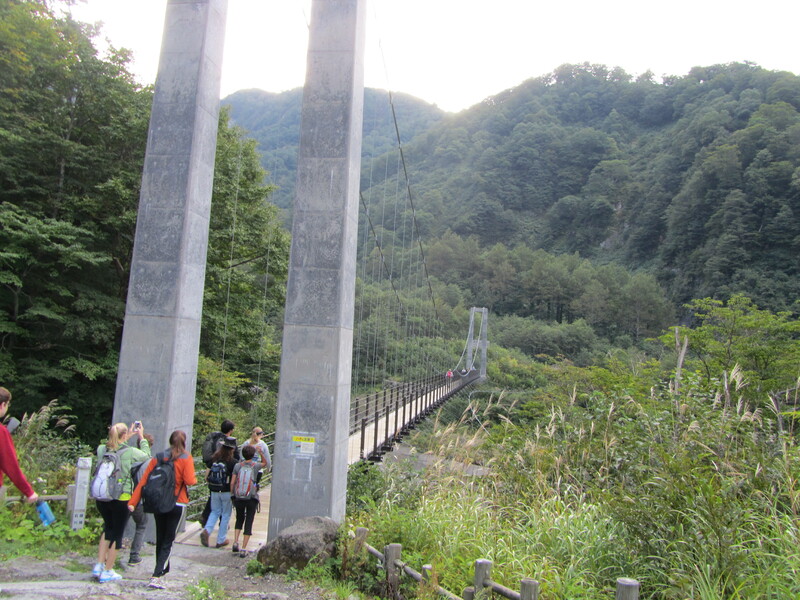 After going through the torii gate that marked the start of the pilgrimage, the first part of the trail was actually a (steel) rope bridge suspended over the river valley below. 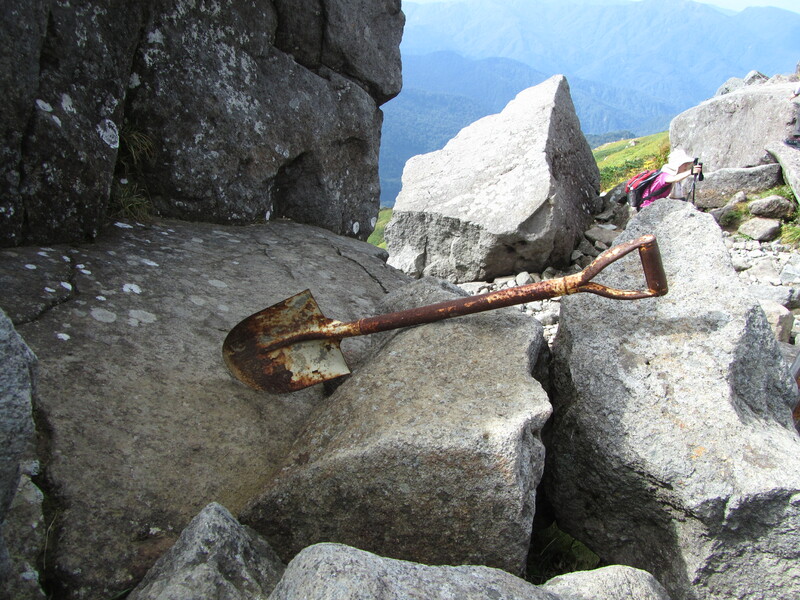 It swung precariously with the pounding of our footsteps and we swayed like drunks across to the other side. I was in the middle of our group when we headed off, but I knew that if I didn’t want to get left behind, I had to keep up with the fastest group at the front. I caught up at the first station, and after a quick rest to take off a layer of clothing and apply suncream now that the morning cool was fading, I went with the first group to start climbing again. At the head of our group was of course, the indomitable Liz, and our friends Kacie and Mauricio. 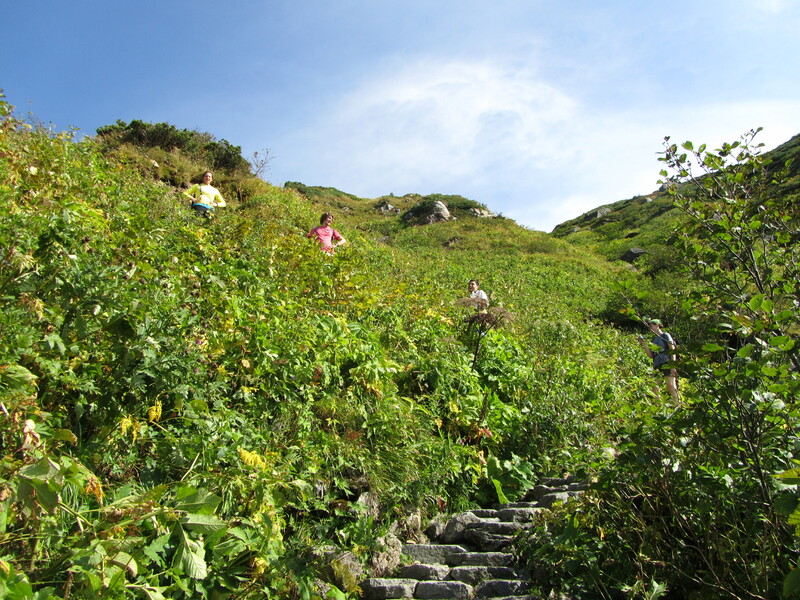 The first section had been quite steep, with stone steps embedded in the forested hill, but past the station, the vegetation became more low-lying and we were able to use the excuse of appreciating the beautiful views below us to pause for a moment to catch our breath. 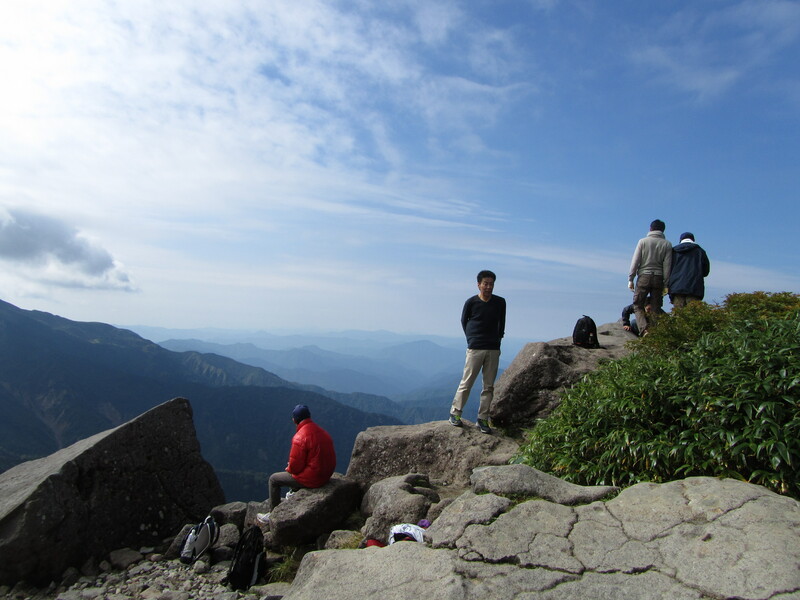 At the next rest stop we were in good spirits because we could see the top of the mountain and it didn’t look too far away, that was, until we were told that it wasn’t the summit- the peak of Hakusan was the mountain behind the one we were on! 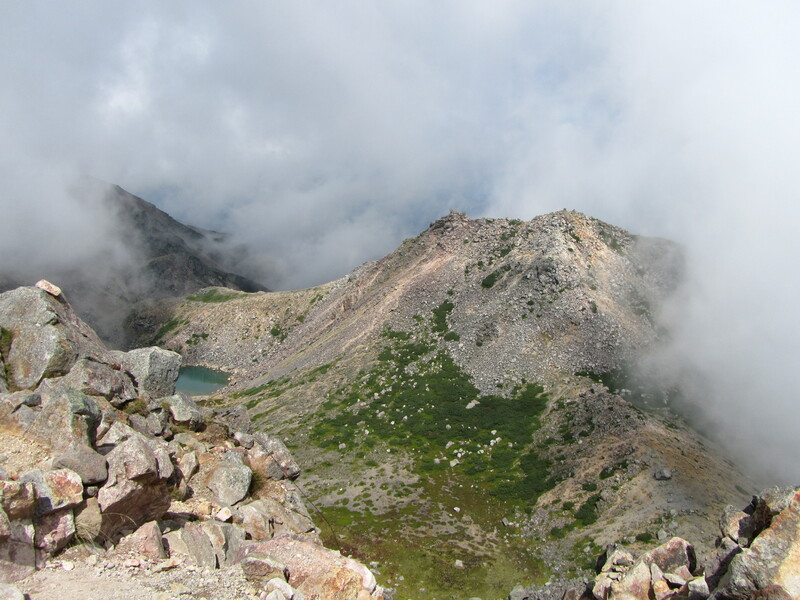 Unlike Mt Fuji, which is so iconic due to it being an isolated volcano with a very defined outline, Hakusan is part of the Japanese Alps, chains of mountains that run across Honshu, and so it’s a mountain piled on top of other mountains. 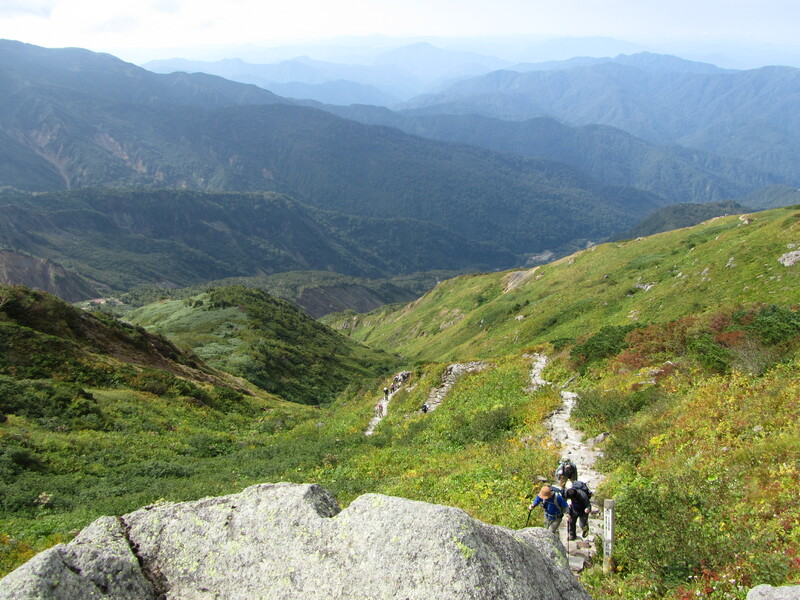 When we reached what we thought was the top of Hakusan, we arrived at a plateau that had a wooden path marking the way to the trail to the true summit. As we walked across the meadow of wild grasses and colourful bushes, it reminded me so much of Ireland and walking in places like the Burren. And then when you looked behind, it was like looking at New Zealand and its Middle Earth mountains. It was great to be with the front group because, thanks to Liz’s whip-cracking, we made it up in about four hours, whereas we were told that it usually takes five. 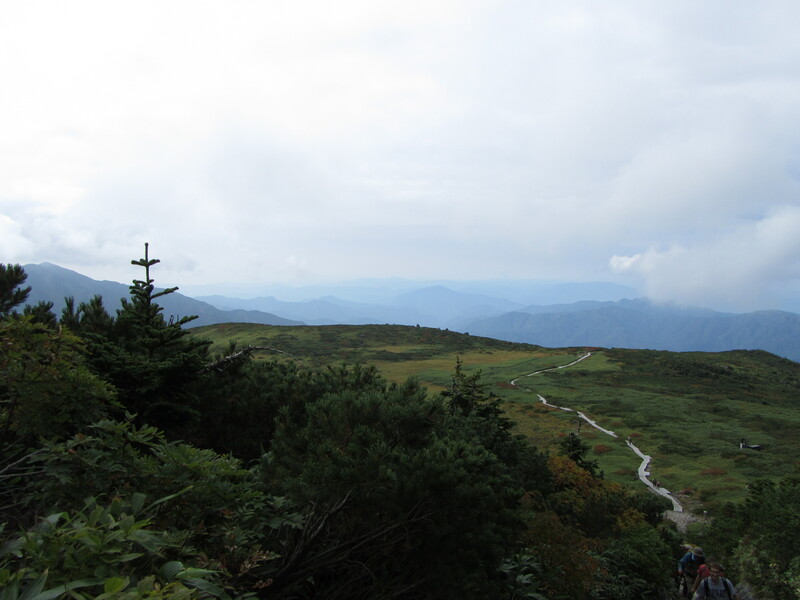 I was the straggler of our little group, as I had to stop more often to catch my breath and quiet my heart, but I managed to keep up and when we got to the top we had time to rest and survey our domain. 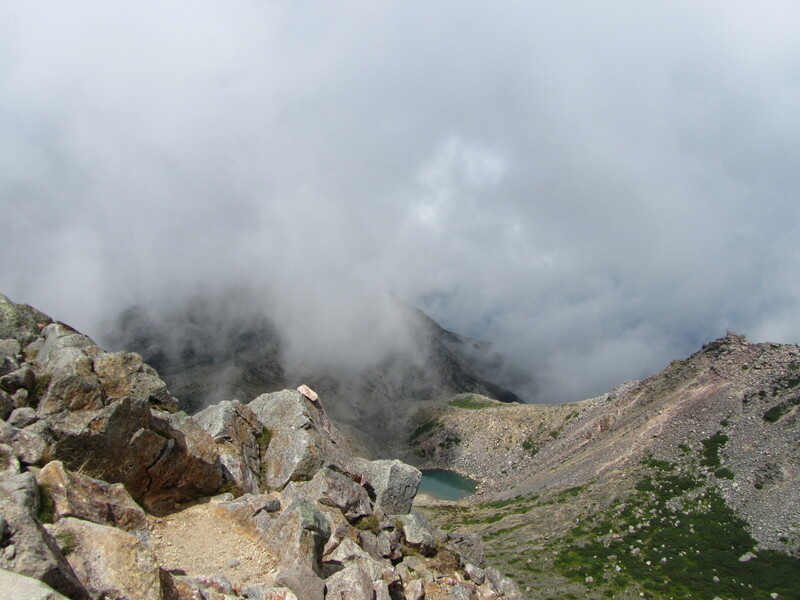 The climb was not an easy one – a few times I thought I was going to have an asthma or a heart attack, or that my legs would seize up from constantly lifting them – and the descent was hard on my knees. 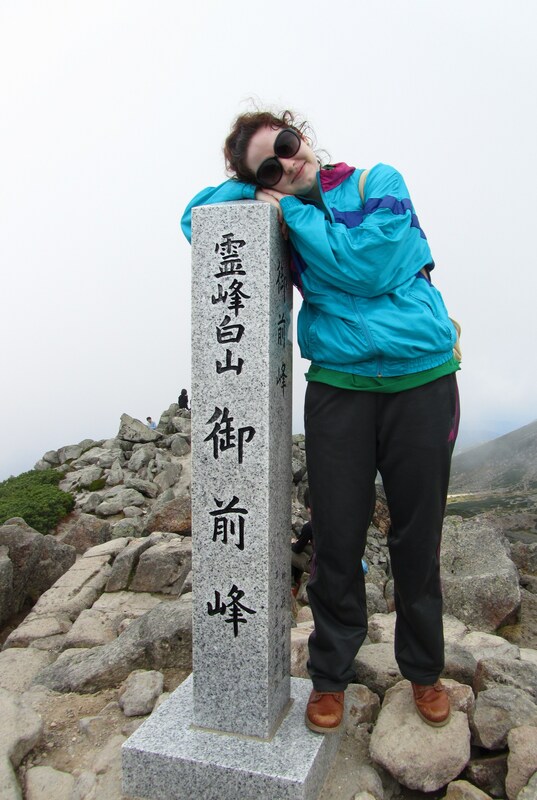 But I enjoyed it so much more than I did Fuji. 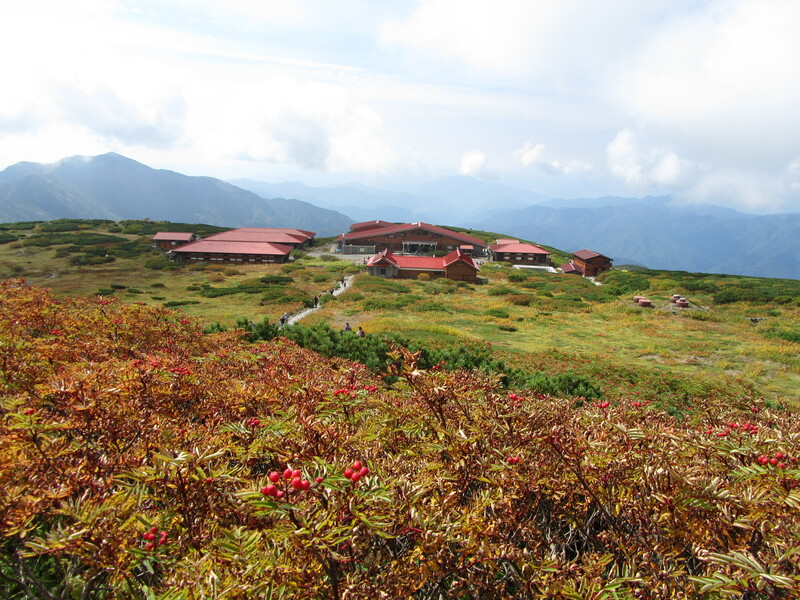 I was better prepared mentally (if not physically), I was able to move fast because there were less people, I stayed with a group of friends who encouraged and entertained me, and the mountain and views were stunningly beautiful. 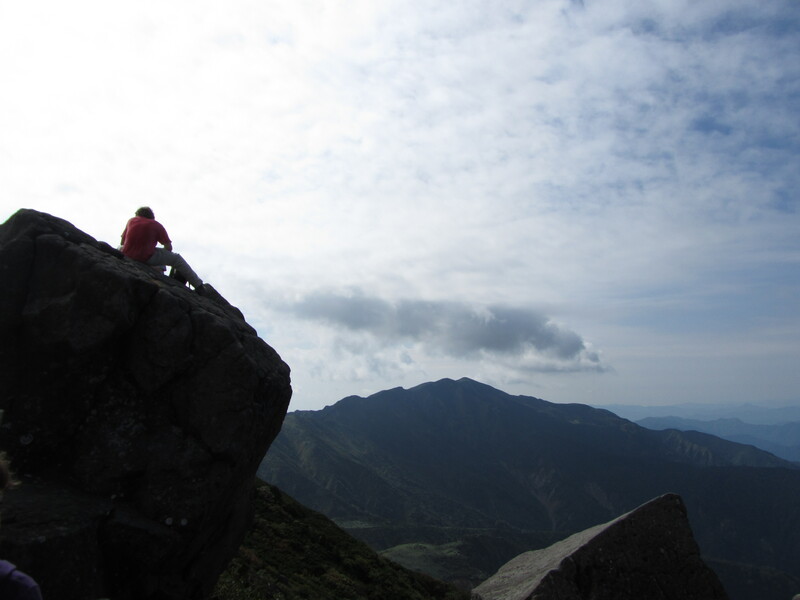 I probably wont go back and climb it again, but I definitely want to climb Tateyama next year to tick all the holy mountains off my list. After our hearty breakfast in Memphis, Liz and I set off down Union Avenue to get to Sun Studios which was not far away from our hotel. This was probably the most intense heat I experienced on our entire trip because even though it was probably only a fifteen minute walk at most, it was nearing midday and the sun was beating down, we were dehydrated and despite wearing a thick coating of factor 50 sunscreen, I could feel my skin crackling. 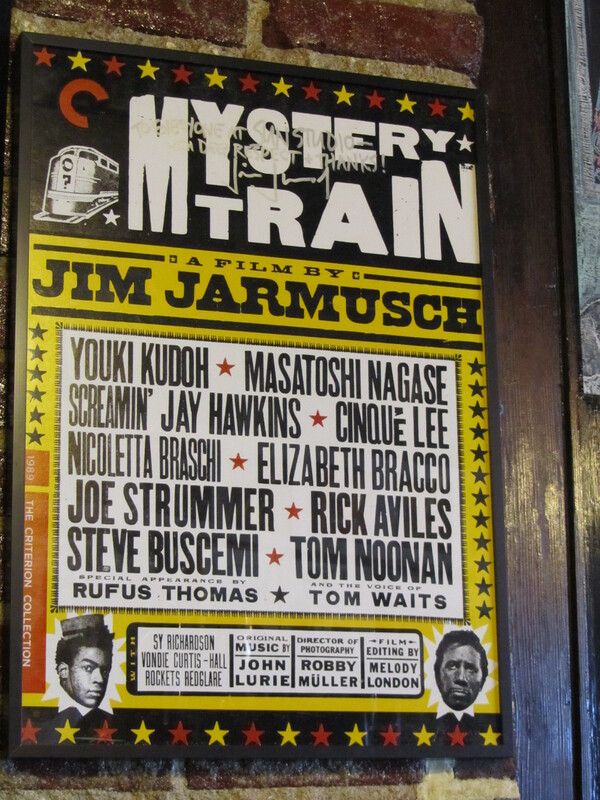 It wasn`t a pretty avenue by any means, but it was very evocative of the desolation that I loved in Mystery Train. Eventually we arrived at Sun Studio, which was like an oasis in the desert. The original studio itself is in the smaller building with the white front, while the shop and exhibition space are in the larger building with the green awning that used to be a restaurant in the `50s. 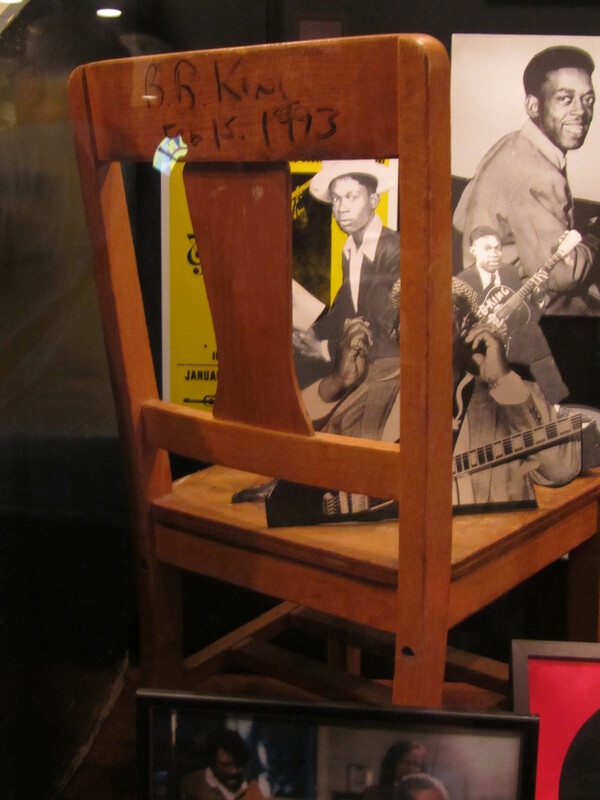 We started our tour (which was nothing like the one shown in Mystery Train fortunately, or unfortunately) with the exhibition upstairs which had a lot of memorabilia in its small space; from the original neon sign for Sam Phillips` recording service and the machine he used to record, to Elvis` leather-encased guitar and social security card. 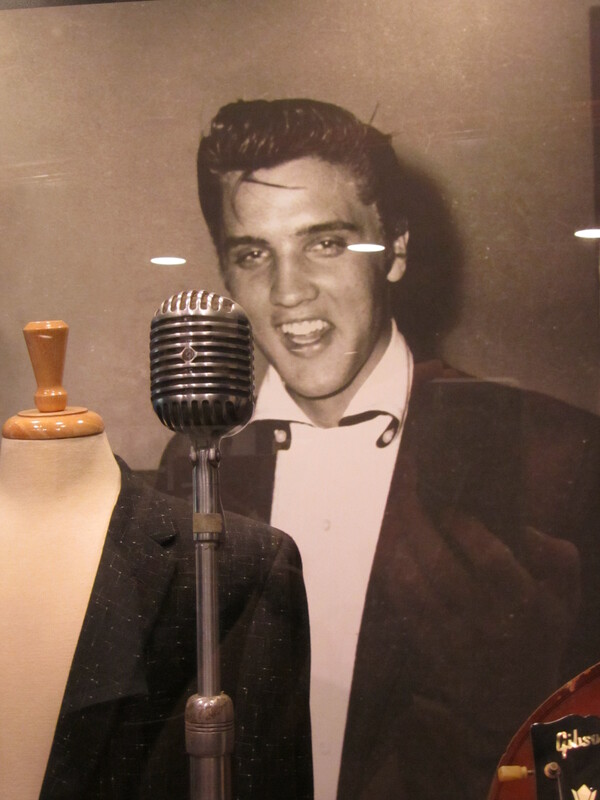 We also got to hear Elvis` first ever amateur recording, which was certainly rough and ready. 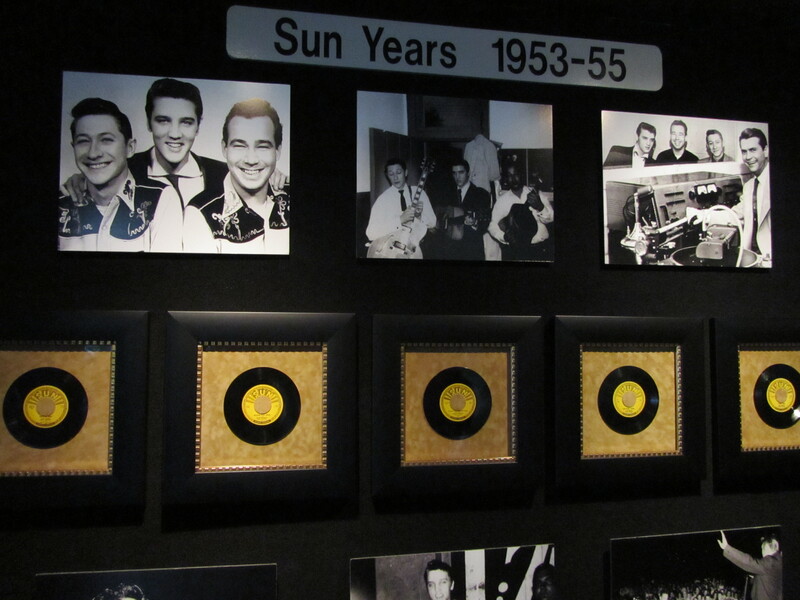 The studio and tour wasn`t all about Elvis though, because so many other great artists recorded and were signed there. Interestingly, our guide told us that the artist who Sam thought was his greatest find, was not actually Elvis, but rather Howlin` Wolf. After being told about the history of the place by our guide and looking around at all the memorabilia, we went into the actual studio itself. It`s still a working studio and many big artists today come to record in the same studio that Johnny Cash, Carl Perkins, Roy Orbison and Jerry Lee Lewis once did. 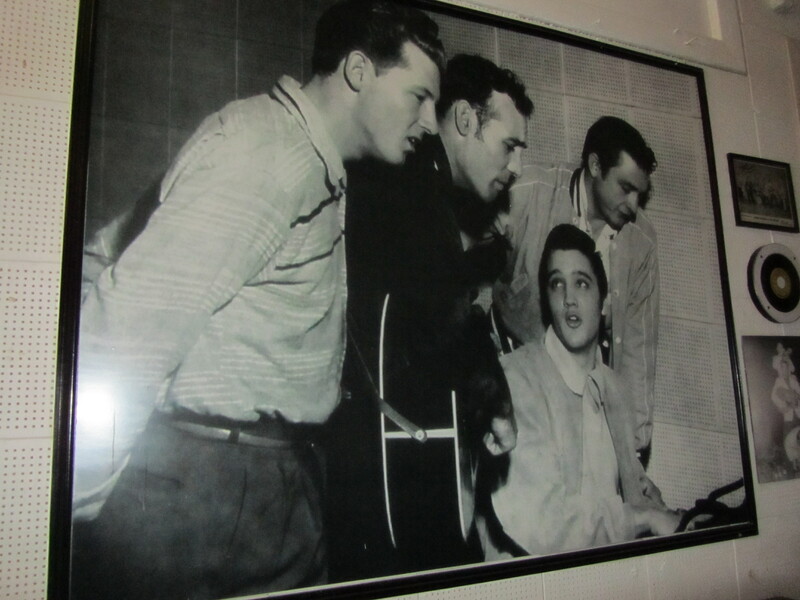 Recording equipment and instruments are set up in the studio and the walls are hung with records and photographs, like that famous one of the Million Dollar Quartet, an impromptu jam session with Elvis, Johnny Cash, Carl Perkins and Jerry Lee Lewis in 1956. Our guide also brought out the microphone that was used by those big names to record their singing (known as the Elvis microphone), and we all had a turn posing with it. 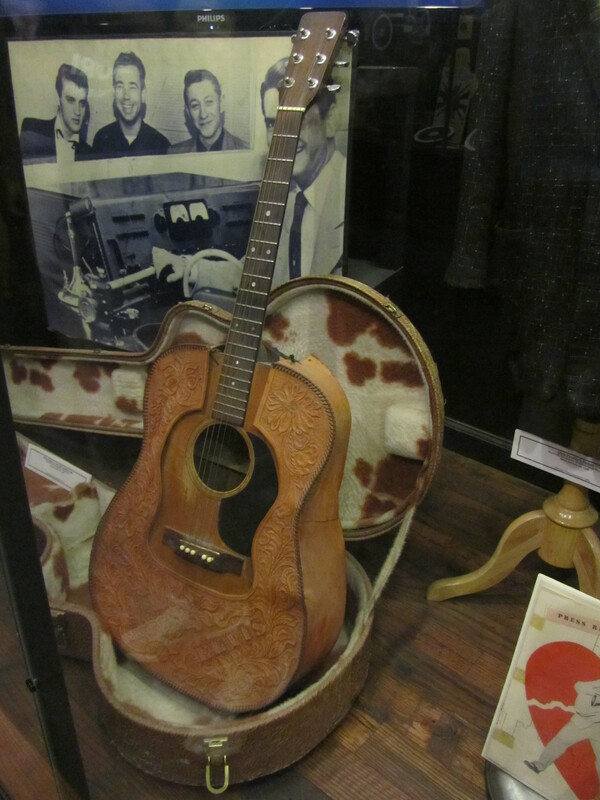 She told us that Bono tried to buy it but thankfully they didn`t sell it to him! 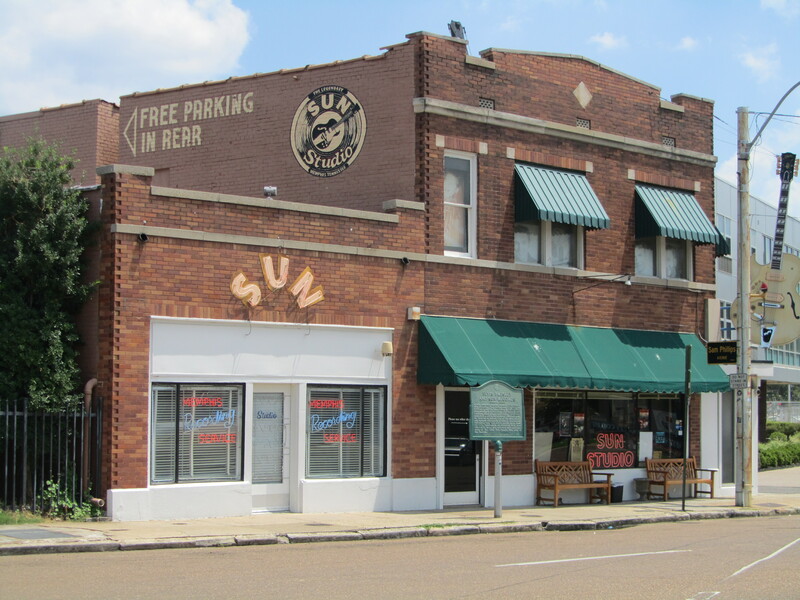 What makes the trip to Sun Studio worth it is the eerie feeling that you can sense the presence of all the blues and rock`n`roll greats that recorded here. You can definitely feel the history of the place in the present, which is not something that I`ve experienced very often in places. It mightn`t mean much to someone who didn`t know anything about this part of music history, but I think as long as you`ve heard of and have some little interest in these guys, it`s quite a profound experience. 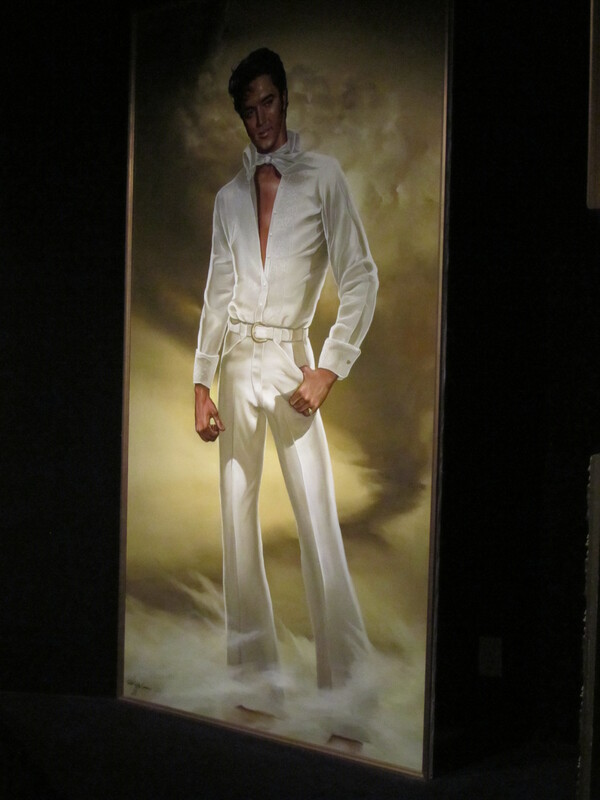 No trip to Memphis would be complete without a trip to Graceland, whether you like Elvis` music or not. 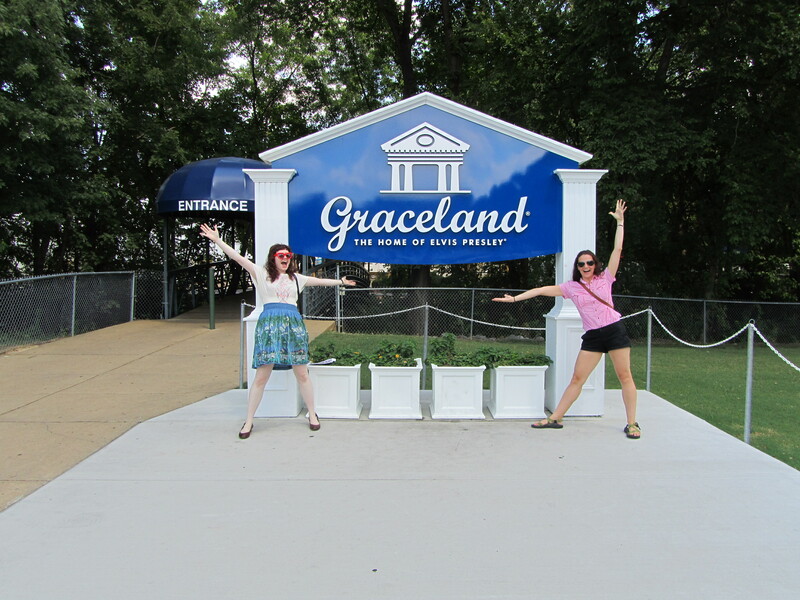 It was Liz`s first time there too, so after Sun Studio we drove to the biggest monument to `70s kitsch and musical idolization. 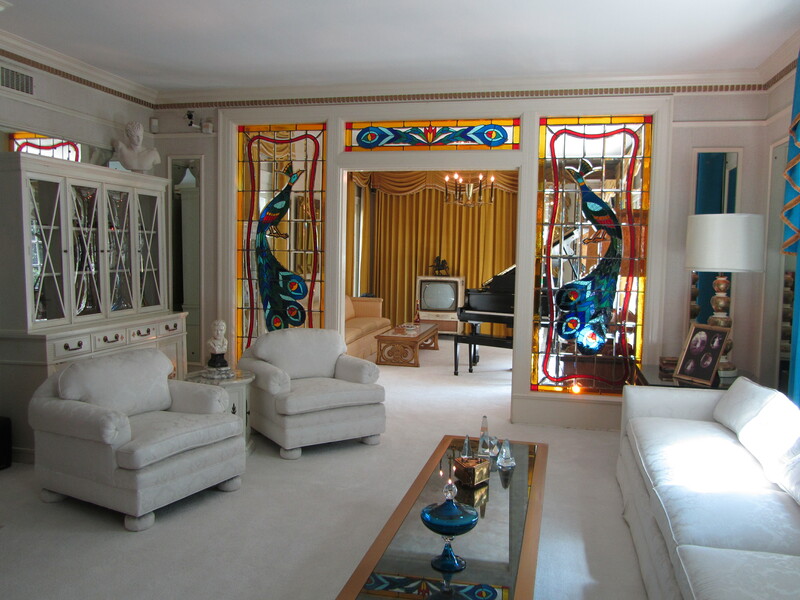 Graceland is a massive complex, of which the house only occupies a small part. 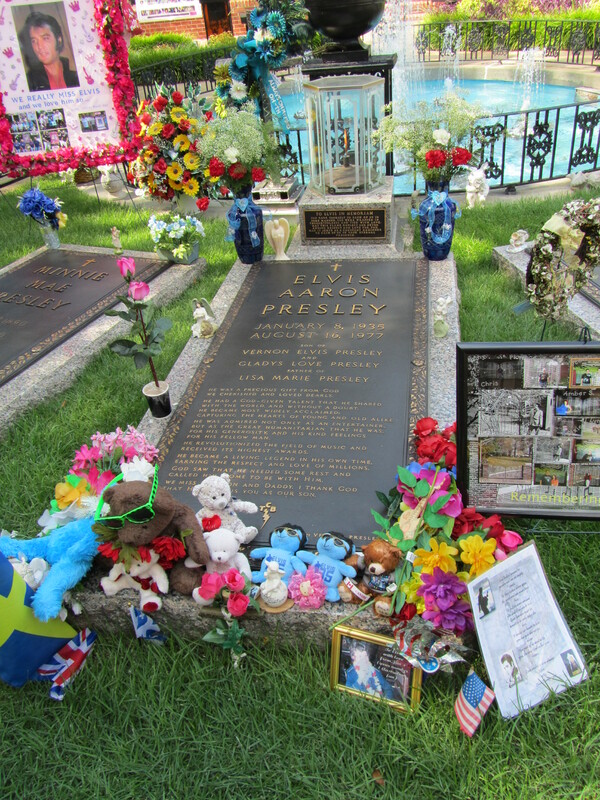 There`s the Heartbreak Hotel, a campground, numerous parking lots, restaurants, shops, numerous exhibitions and Elvis` private jets. The tour is self-guided with an audio set, but we were chaperoned around with assembley-line perfection. We had to get on a shuttle bus to cross the road from the ticket office to the mansion. The mansion was smaller and not as garish as I had expected. 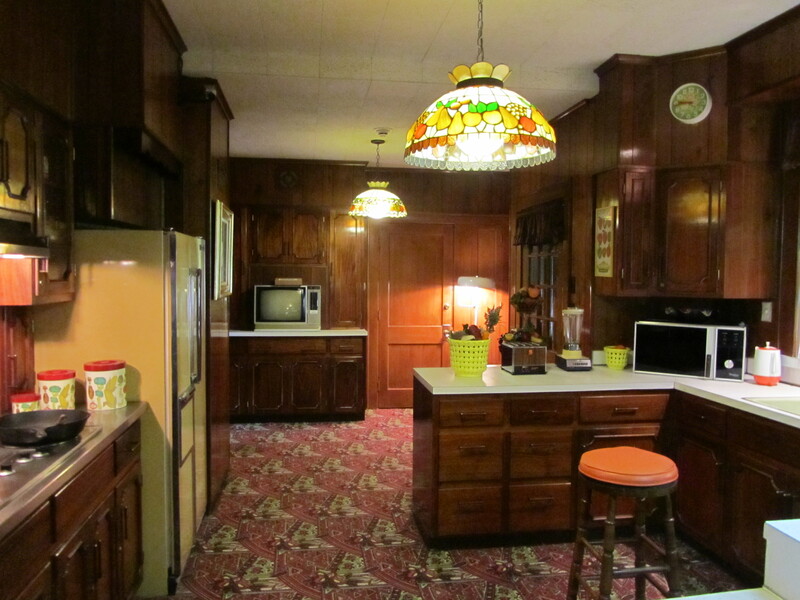 The exterior looks like a typical Southern colonial house and I don`t think it was changed by Elvis when he bought it, although the same cannot be said for the interior, decorated to full `70s excess. Unfortunately I didn`t get a good picture of the Jungle Room that had an indoor waterfall and thick green shag carpet on the walls. It was interesting to think how the technology, like those big boxy television sets, which seems so dated today, would have been at the cutting edge when it was introduced to the house. Only the ground floor and basement were open to the public, so unfortunately we didn`t get to see the bedrooms which I`m sure would have been even more flamboyant than what I did see. At the back of the house was another building that housed his father Vernon`s office and his personal recording studio, and also contained an exhibition to his career. 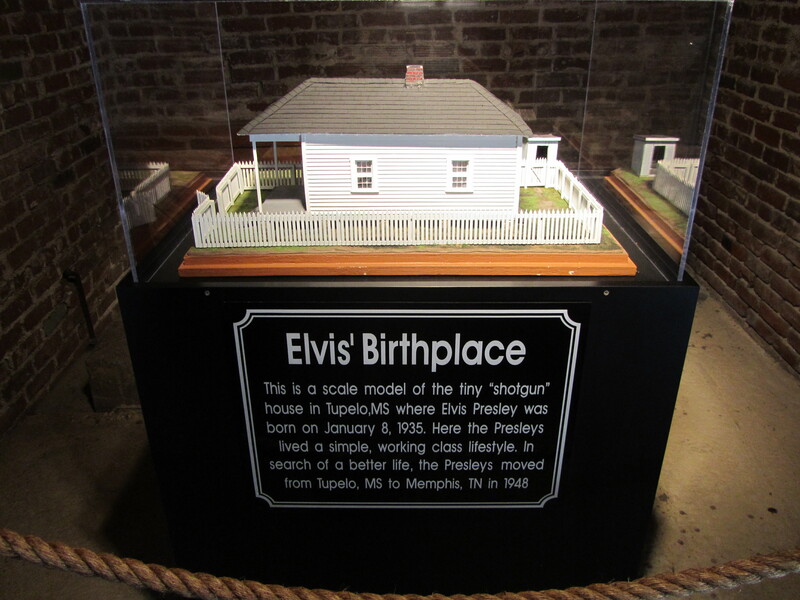 The extravagance of Graceland was put into relief and also explained by the model of the `shotgun` house in Mississippi that he had been born in. 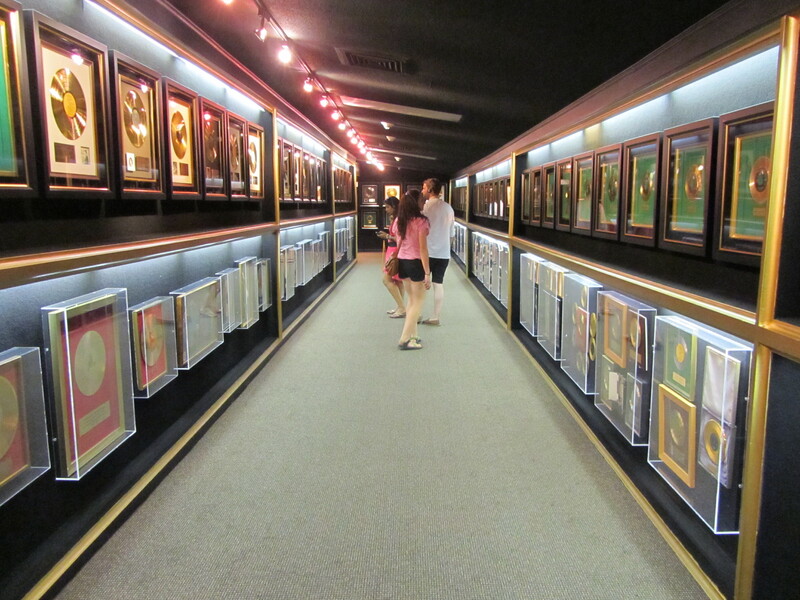 There was a long corridor that must have held only some of his many gold- and platinum-selling records that led on to a small exhibit of the different areas of his life, such as his time with Sun Records, his marriage to Priscilla, his army years, his films, his comeback and his Las Vegas performances. 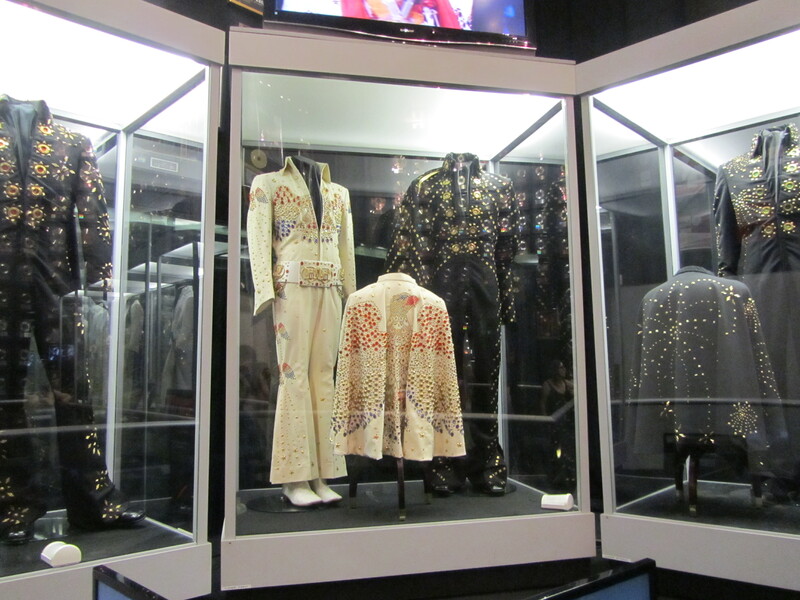 A lot of his clothes were on display, which really made you realise what a tall man he was at six foot, and although he gained a lot of weight in his later years, his flashy Vegas costumes didn`t look much larger than his earlier ones. The part about his marriage had his wedding suit next to Priscilla`s dress which looked so tiny in comparison. 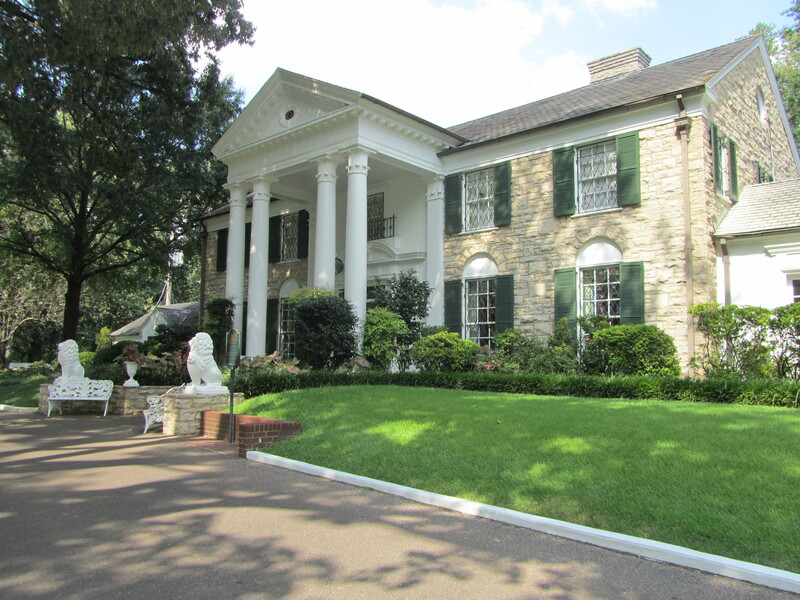 The last part of the mansion tour is the Meditation Garden that has the graves of Elvis and his family. It`s easy to forget that he was only 42 when he died because he seemed so much older, both due to his physical deterioration and the fact he had done so much and so many things during his career that started when he was just 18. Talking about Elvis with Liz`s mother later, she lived in Memphis during the `70s and she said how Elvis` jet was a common sight in the Memphis sky during those years. She remembers exactly where she was when she found out that he had died and she couldn`t believe it because even though everyone knew that Elvis wasn`t in the best of health, no one expected him to die.